Walter Crane (1845-1915) was an English artist and book illustrator. I love his illustrations and wanted more people to discover and enjoy his work, so I created this colouring bundle to share his work. The five images are taken from Walter Crane’s book, A Floral Fantasy in an Old English Garden. The book was published in 1899 and is now in the public domain (free to use), so I've adapted 5 of his illustrations into greyscale for your colouring enjoyment. The colouring bundle also includes the original 5 drawings in colour for your reference, plus a robin colouring page from my own book Drawn to the Enchanted Garden. 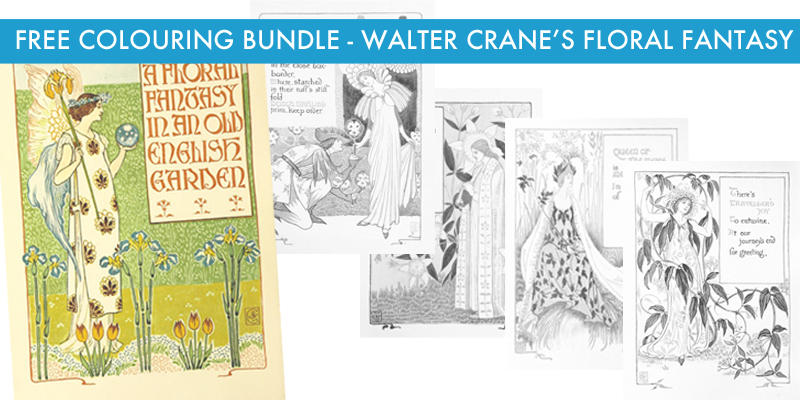 If you also love Walter Crane's work then please share a link to these pages!